A Shepherd's Heart: Free Gift For You! DIY Note Taking Study Tool! Free Gift For You! DIY Note Taking Study Tool! Check out the following link for a free gift I've posted for you! It's a DIY note taking / study tool that I posted on my downloads page. DIY (Do It Yourself) Note Taking Study Tool (ZIP file with PDF's): This is something I put together as a gift for a few people I've ministered with and wanted to make available to you. This is a DIY (do it yourself) study/note taking tool that can be simply printed out and placed in a binder for taking notes, etc. This is something that, (if you choose to utilize it), can be customized as you see fit. 2. One an Two page note taking pages including a third bonus note page. 3. 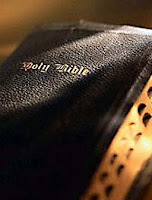 A reference list of the Books of The Bible. 4. A reference overview of the Books of The Bible. 5. Bible Reading plans from Biblegateway.com. 6. Lastly, a reference list of different passages on different topics from the Bible. Enjoy! Feel free to share it with others!